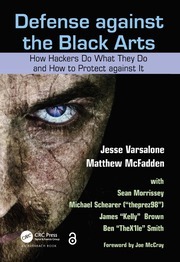 Stories of cyberattacks dominate the headlines. Whether it is theft of massive amounts of personally identifiable information or the latest intrusion of foreign governments in U.S. government and industrial sites, cyberattacks are now important. For professionals and the public, knowing how the attacks are launched and succeed is vital to ensuring cyber security. 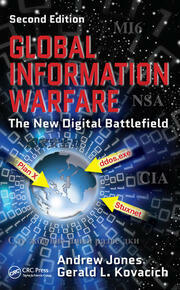 The book provides a concise summary in a historical context of the major global cyber security attacks since 1980. 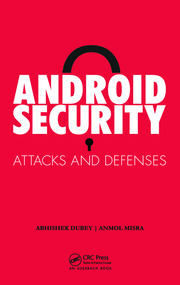 Each attack covered contains an overview of the incident in layman terms, followed by a technical details section, and culminating in a lessons learned and recommendations section. 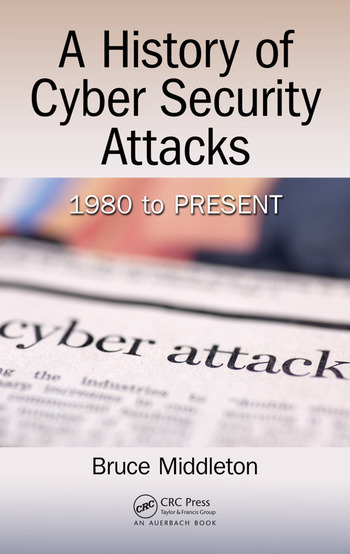 Historical Overview of Cyber Security. Morris Worm. MafiaBoy. Google in China. Attack on NASA. Church of Scientology. Solar Sunrise. Melissa Virus. Internet Domain Name Root Server Attack. Target. The Original Logic Bomb. The Estonian Cyberwar. Epsilon. Moonlight Maze. Titan Rain. Sasser Worm. Bruce Middleton, Managing Director & Senior Consultant for Security Refuge LLC, is a graduate of the University of Houston and has been involved with the security of electronic communication systems since 1972 when he enlisted in the military (United States Army Security Agency - ASA) during the Vietnam conflict and worked overseas in the field for NSA. Since that time he has worked with various government, military and commercial entities such as NASA (Space Station Freedom communications systems design team), CIA, NAVSEA, and Boeing (Ground Station to Aircraft communication systems & Space Station Freedom). Mr. Middleton has been the keynote speaker at select national and international industry events and a trusted advisor in both the government and commercial sectors. He has written multiple books and magazine articles in the fields of communications security, cyber crime and computer network penetration.